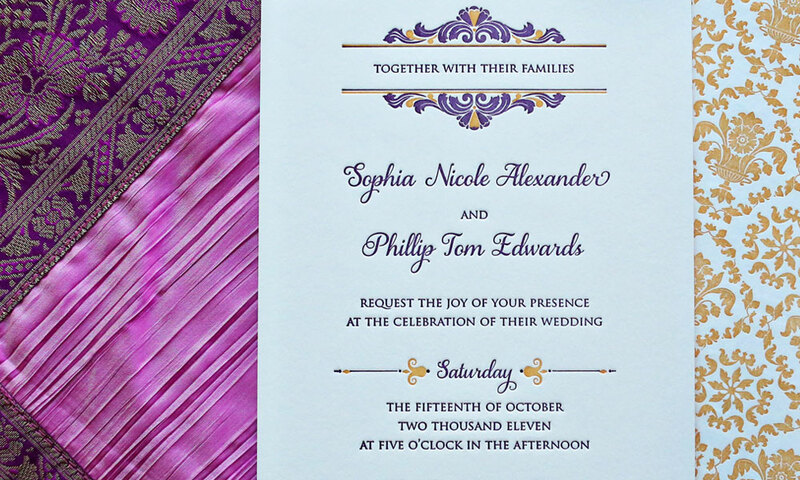 Inspired by Sophia’s love for all things Spanish and Moroccan, this design captures the essence of the two cultures. 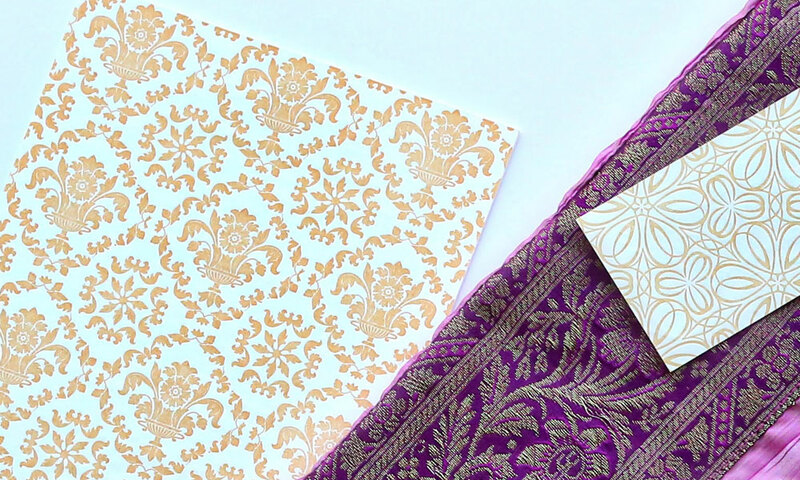 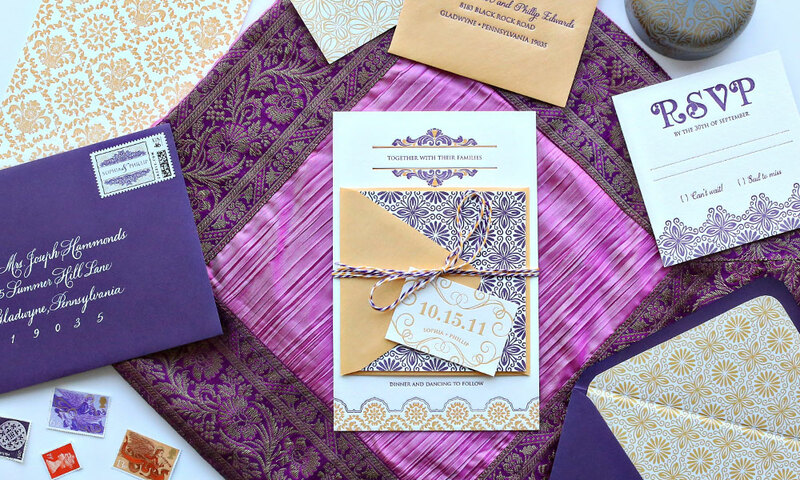 Beautiful patterns blend together with bright colors to create this truly unique and sophisticated wedding invitation suite. 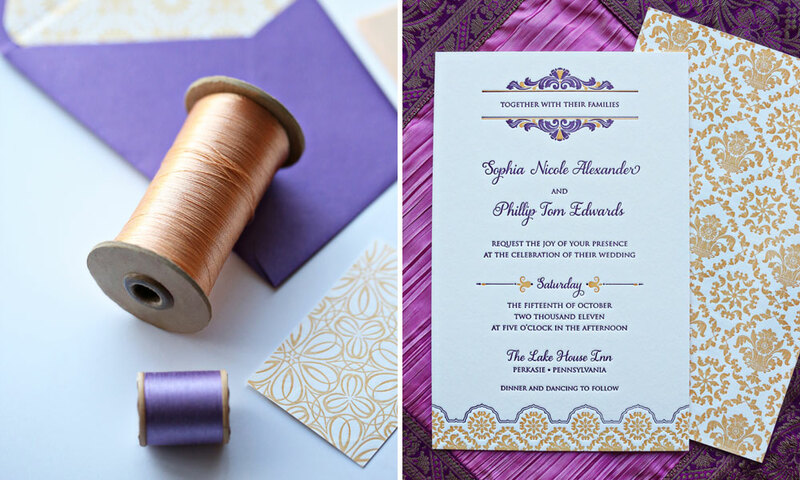 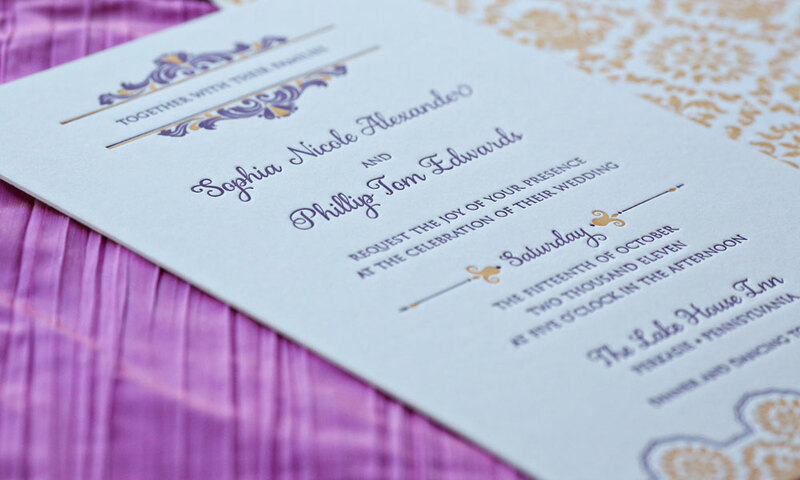 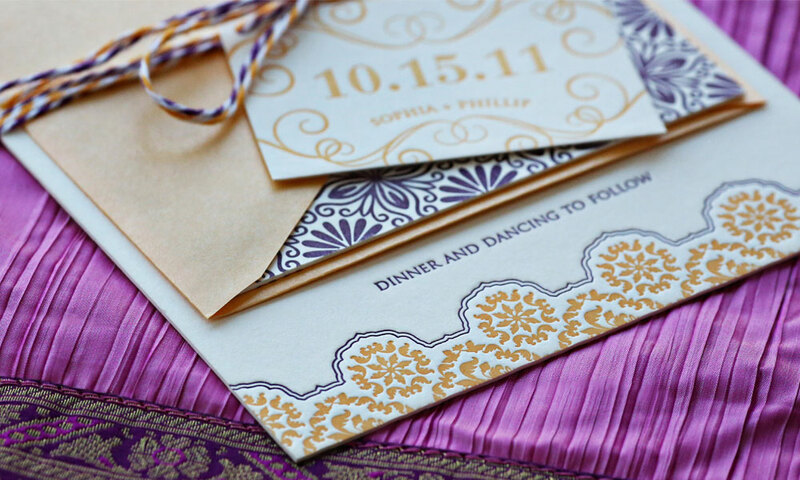 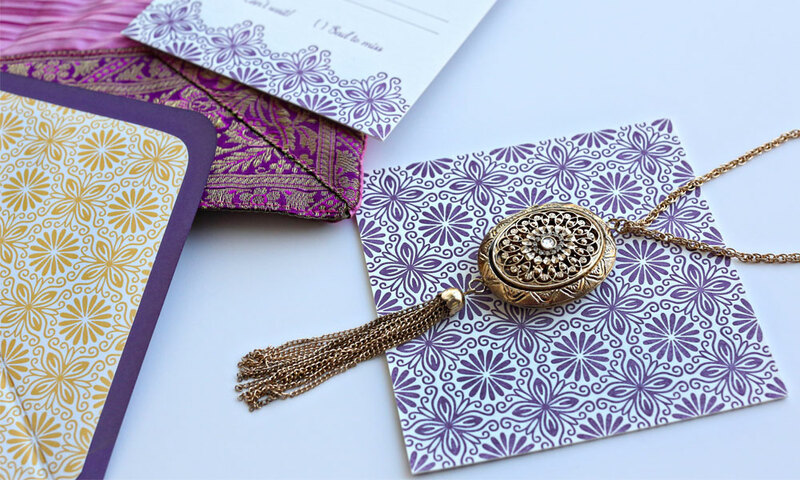 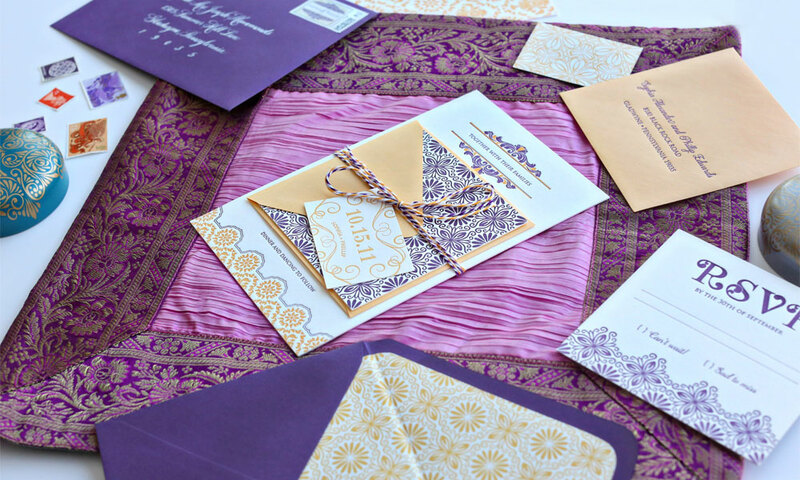 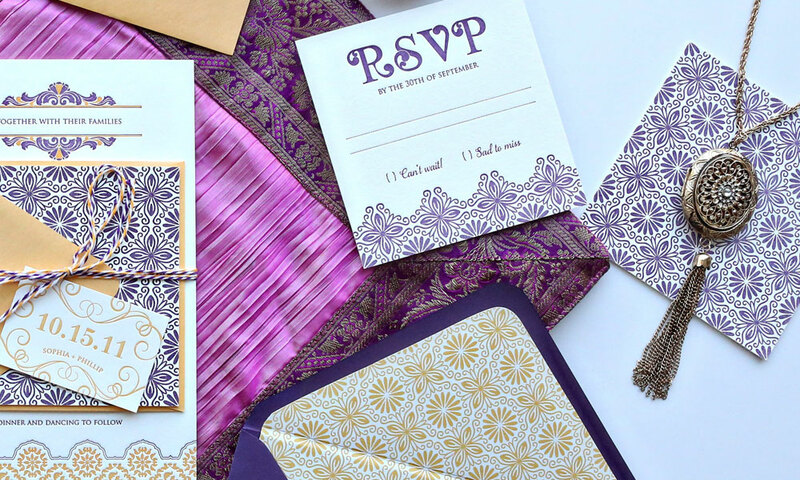 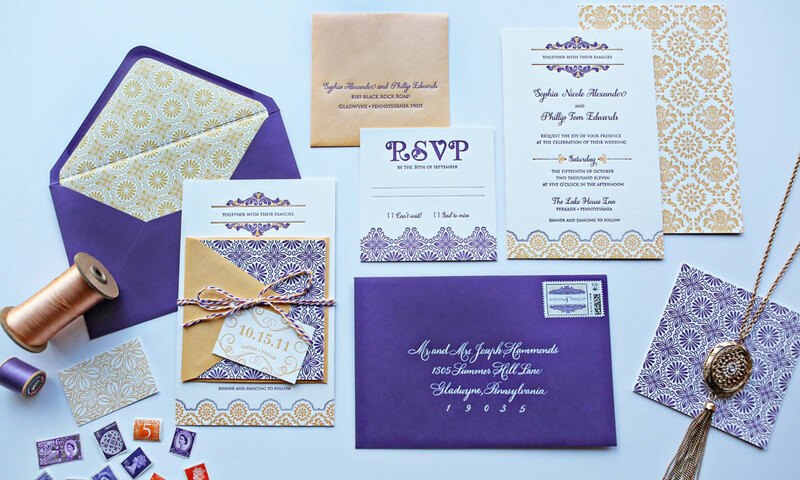 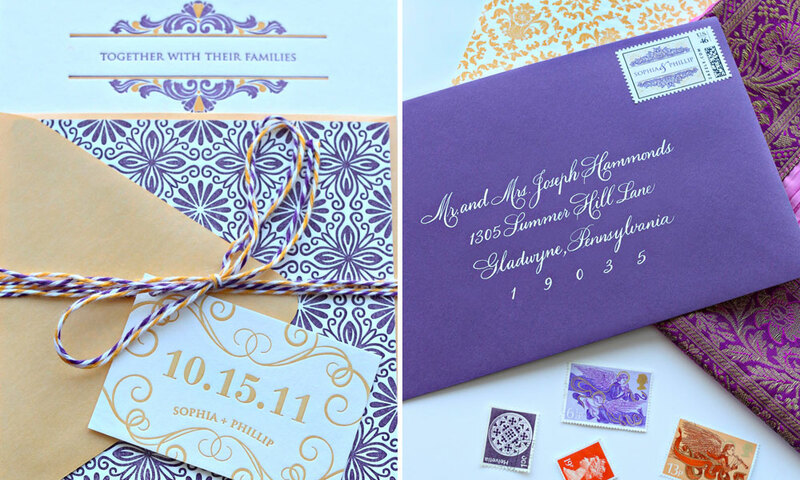 A shiny, metallic dark-purple envelope with an orange Moroccan-pattern liner features a custom round seal and address label and a custom ornamental monogram stamp with the bride and groom’s names. 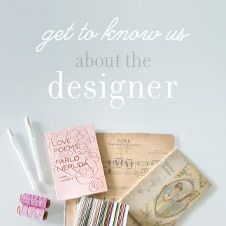 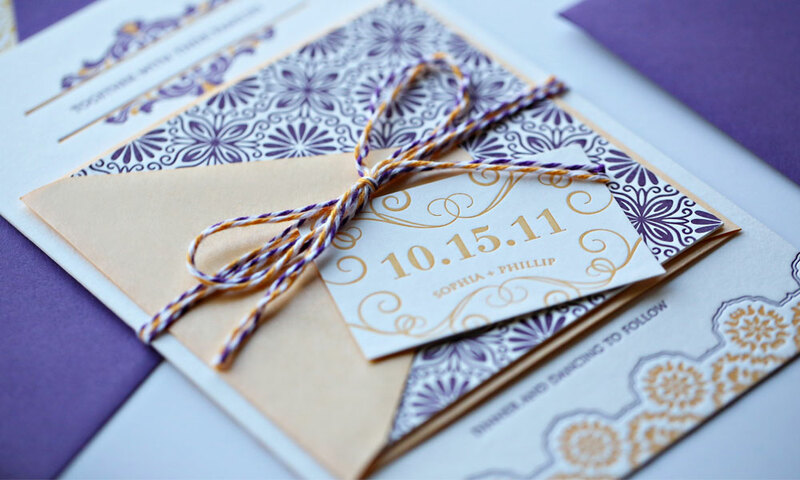 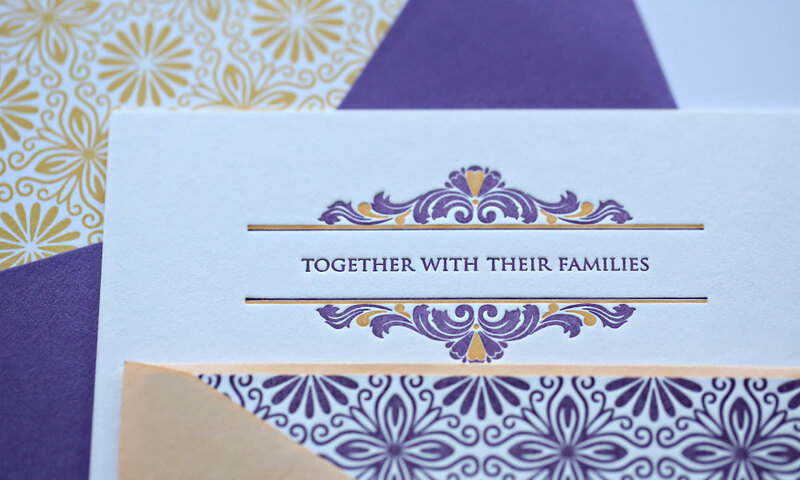 The ensemble opens to reveal a Spanish floral-inspired letterpress wedding invitation suite tied with purple and orange twine and a custom letterpress tag. 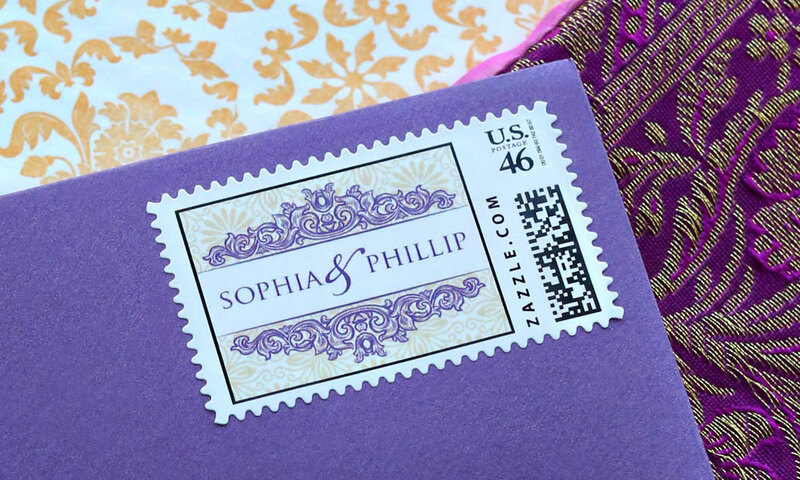 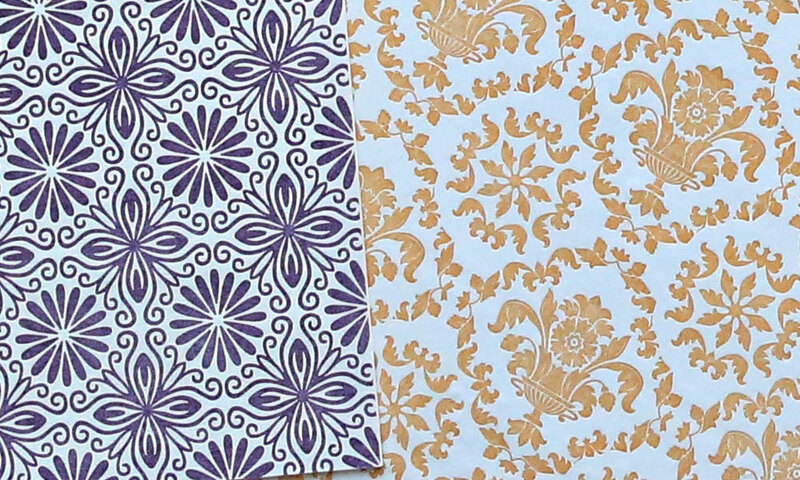 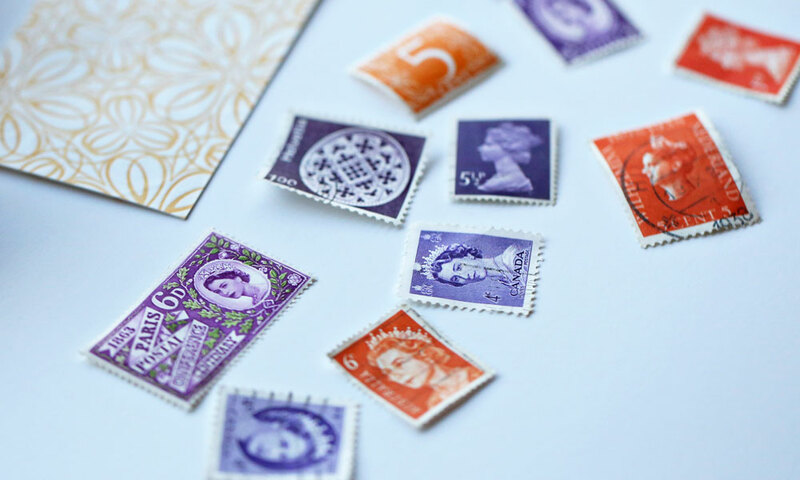 A mix of antique typography and decorative elements and patterns are letterpressed in purple and orange on premium, thick cotton paper. 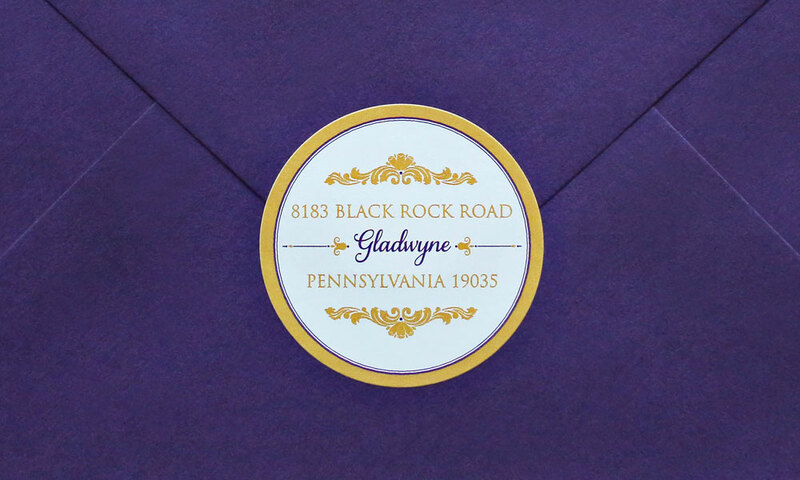 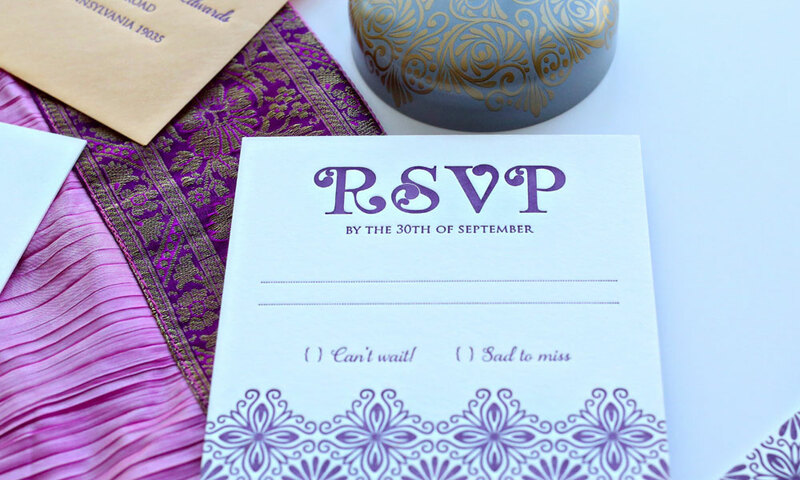 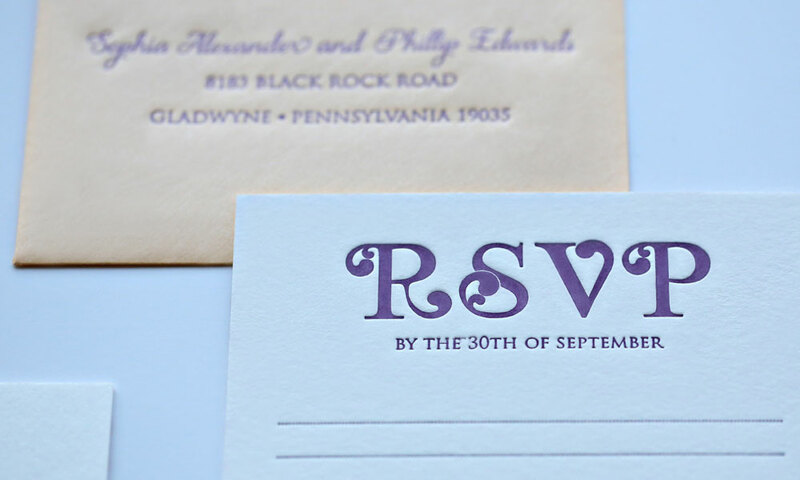 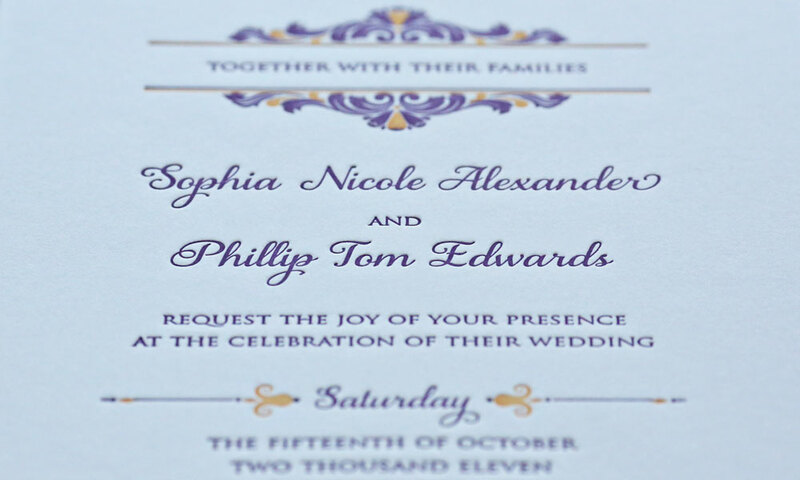 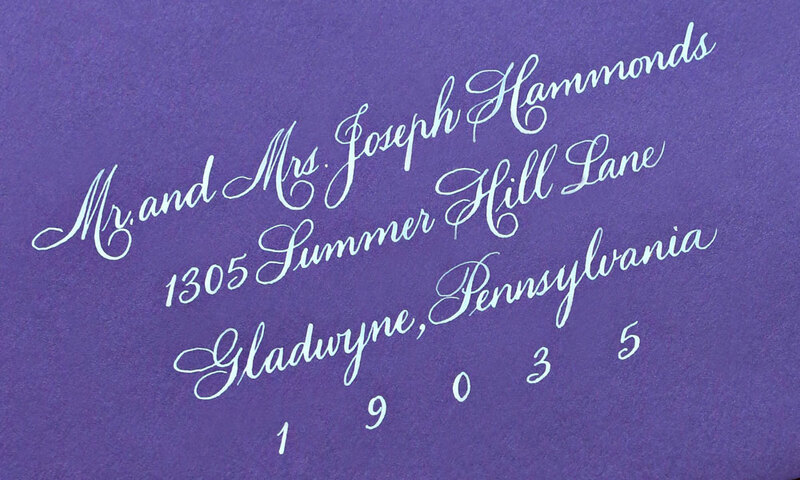 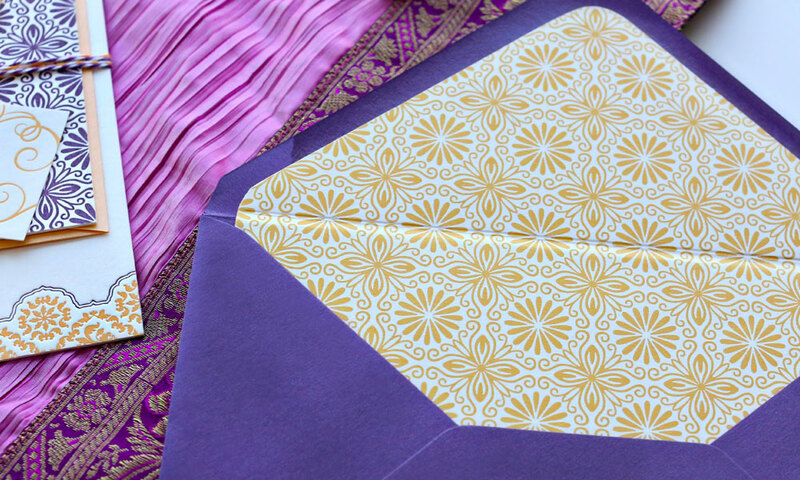 White, old-world handwritten calligraphy adorns the purple shiny envelope for the luxe finishing touch!